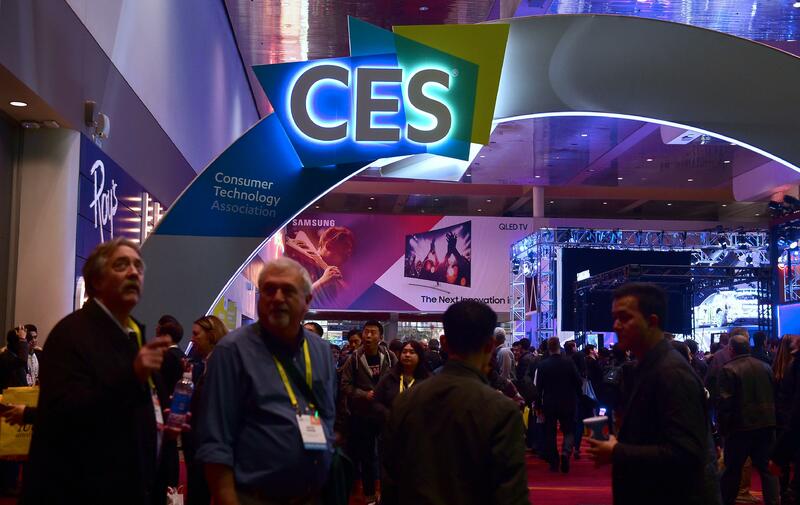 CES 2018 -- the massive Consumer Electronics Show -- kicks off in early January and CNET will be there in force, scouring Las Vegas convention halls and pop-up casino demo rooms for the latest product innovations. Not only is CES one of the largest tech shows in the world, smart home devices and large appliances have had an increasing presence at the annual event in recent years. At CES 2017, so many companies announced integrations with voice assistants that we compiled a "scoreboard" to keep track. Amazon's Alexa dominated with 33 new partnerships, followed by 18 from Apple's Siri-powered HomeKit platform; Google Assistant trailed behind with 10. We also saw a lot of robots. Yes, robots. Some were kind of creepy, others downright adorable -- but all of them were supposed to help make your home smarter. So, what does the upcoming CES have in store for the smart home? We don't know for sure, but it's going to be big if last year's show was any indication. Here's a look at smart home and appliance trends we think we might see at CES 2018. By "voice assistants," I don't mean new AI platforms to compete with Alexa, HomeKit and the Google Assistant (although that's entirely possible too). I instead expect to see something of a repeat from CES 2017 -- announcements of new and existing smart home products adding Alexa, HomeKit and Google Assistant voice functionality. Where last year was heavily weighted toward Alexa integrations, I expect to see more HomeKit and Google Assistant announcements in 2018. Apple's HomePod smart speaker might have missed the holiday season for this year, but that won't stop third-party device makers from extending support for Siri. We've also seen an uptick in smart beauty and fashion devices lately. Simplehuman sells a couple of different smart mirrors, designed to help you optimize your look whether you're spending the day in natural or fluorescent light. A smart hairbush called the Kerastase Hair Coach was on display at CES 2017. Its proposed goal? To collect data as you brush your hair via integrated sensors and give you related care recommendations. MAC makeup stores are getting AR mirrors so you can "try on" different products without, you know, actually having to try them on. And what about Amazon's quirky Echo Look camera? It judges your outfits and tells you what to wear. A new Echo Look update even lets you ask strangers for fashion advice. I'd be surprised if we didn't see a few new products in these categories at CES 2018. We saw robots in droves at CES 2017 and the fascination will likely continue into 2018. But the smart home bots we've seen so far have been pretty hit-or-miss. Jibo (pictured above) is kind of cute, but it doesn't do much -- including move, beyond panning and tilting its head and an admittedly endearing, but stationary wiggle-dance. It also costs a whopping $899. Panasonic showcased a mobile mini fridge-bot at IFA 2017 that will bring you chilled sake, no effort required. Others, like Kuri by Mayfield Robotics, can actually move around and claim to recognize faces, but we haven't had the chance to test them out just yet. It would be exciting to see new assistant robots at the show in January. Face-scanning technology isn't new; we've seen it on the Netatmo Welcome security camera, the Microsoft Kinect (which Microsoft no longer makes) and plenty of other consumer products. But recent advances in machine learning have helped bring facial recognition to even more devices, from the iPhone X to Nest's IQ cameras and its Hello doorbell. We're also seeing an increase in home security cameras supporting "person alerts." Person alerts can't tell you who they see, but they should be able to distinguish between a person and your neighbor's cat -- and send you a notification about it. At CES 2018, I expect to see even more manufacturers introduce facial recognition (or person alerts) as a feature. Fridges, dishwashers and other large appliances with integrated smarts have been around for awhile, too. Only a few have managed to offer any real convenience, though. I'm not convinced we'll see much movement in this space at CES beyond some additional voice assistant integrations. But the Kitchen and Bath Industry Show is happening the same week as CES 2018, so expect to see appliance coverage from both shows. And, who knows, maybe we'll see a smart appliance or two. Want to see if these predictions come true at CES 2018? Bookmark this page, where you'll find all of the latest news straight from the show floor starting in early January. This article originally appeared on CNET. More special coverage of CES 2018 on CNET.